Sixteen-year-old Logan Cole was shot multiple times by a fellow student at West Liberty-Salem High School in Ohio. Cole was rushed to the emergency room Friday, January 20, 2017. Although he was moved out of intensive care on Saturday, the teen continues to fight for his life. 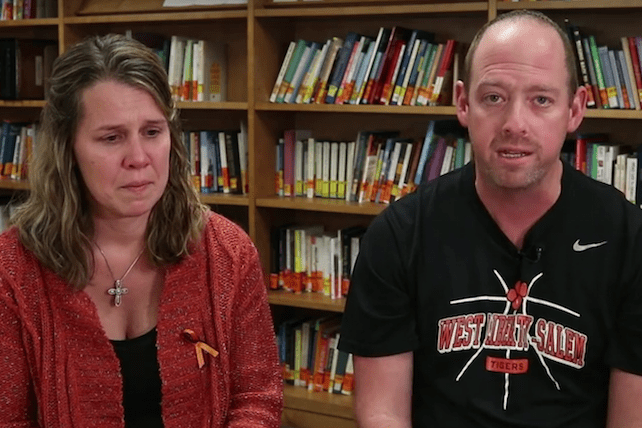 On Thursday, January 26, Cole’s parents released a video to a local news station expressing their thanks for everyone who has supported them during the tragedy. Despite the trying time the family is walking through, the Coles took the opportunity to encourage viewers to know Jesus Christ personally. The video starts with Cole’s father going through a list of people he wants to thank. He starts with Cole himself, “who set an example to me of the forgiveness and grace of Jesus Christ.” He refers to Cole’s decision to forgive the student who shot him right after the incident happened. Cole has a pellet in one of the chambers of his heart the doctors are still trying to remove, along with other complications. In addition to prayers for healing, Cole’s parents are asking for other prayers as well: prayers for the school and community and prayers for the shooter’s family.